When all you’ve got is a magazine or some over-played smartphone games at your disposal, waiting out airport delays is a nightmare. But not if your carry-on luggage opened to reveal an epic water park inside, instead of clothing. 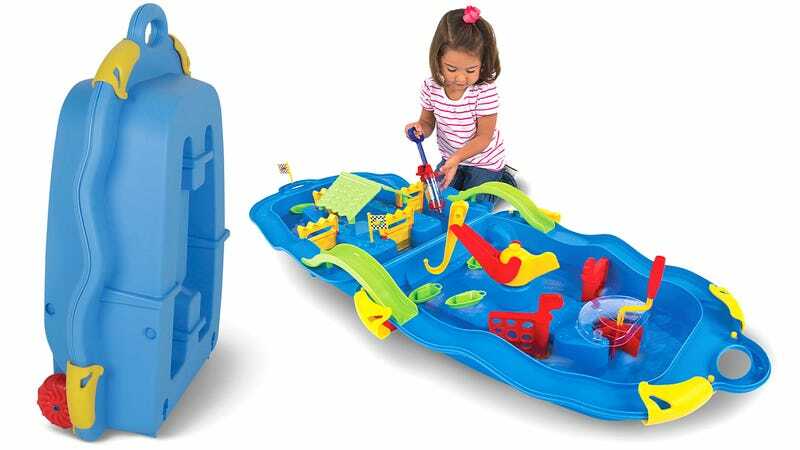 In fact, you might actually be glad to be bumped from an over-sold flight and put on standby if you had this 52-inch long $80 playset in tow that includes fun activities like a hand-cranked water turbine, a crane for lifting boats, a wave maker, and a race course around its perimeter.